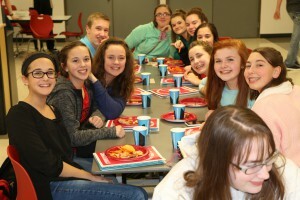 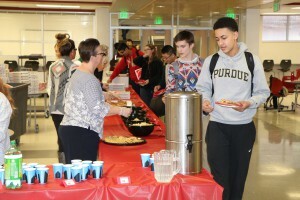 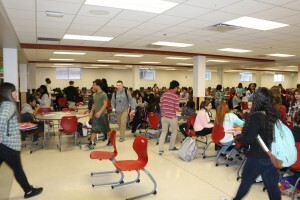 About 300 of Southport High Schools 1-thousand plus A/B Honor Roll students attended a pizza party Thursday. 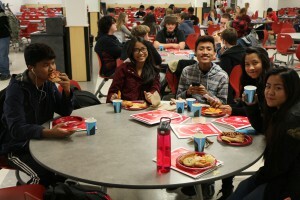 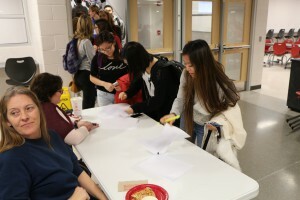 Students enjoyed about a hundred pizzas, pop and cookies. 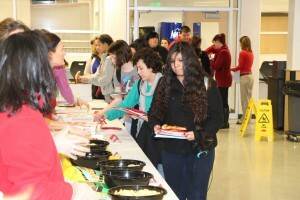 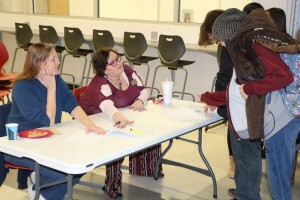 They also received a folder filled with several items and there was a raffle which allowed some to win yes; more pizza. 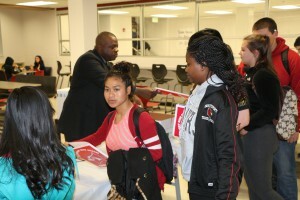 The event takes place at the end of each 9 week grading period. 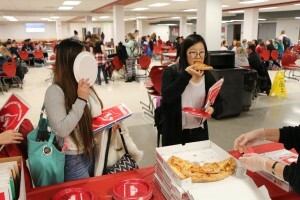 Thanks to Papa Johns and others who donated items for the event which was hosted by SHS staff members.